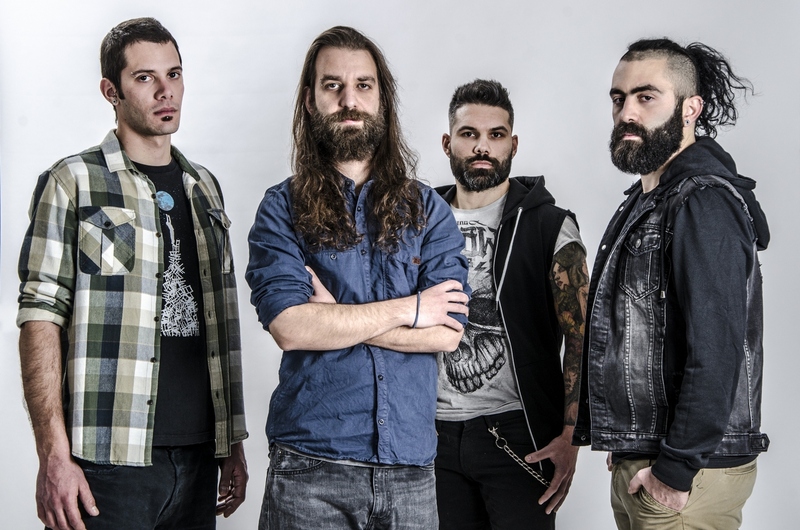 NICK – VOCALS, GUITAR, NIKOS (THE MOOR) – BASS, VOCALS, ORESTIS – GUITAR, CHRIS (JO) – DRUMS. Katatonia, Opeth, In Flames, Porcupine Tree, Slipknot, Deftones, Dream Theater, Pantera and many more. Within the past two years the band has played a UK tour (Brighton, London, Newcastle, Glasgow, Manchester, Leicester, Bristol, Cardiff, Plymouth, Milton Keynes, Southampton, Peterborough, Oxford) with AMERICAN HEAD CHARGE and RSJ (November 2013), as well as a European tour with SKINDRED & SOIL (February 2014). Maplerun also played HARD ROCK HELL festival in Ibiza (May 2013) and HAMMERFEST VI festival in Wales (March 2014). Angry, melodic, energetic, modern, a burst of intense feelings.